St Vincent de Paul Residence CEO Josianne Cutajar and the Parliamentary Secretary for Active Ageing, Anthony Agius Decelis. A controversial call for tenders issued in December for a multimillion-euro cleaning contract at St Vincent De Paul Complex has been suspended amid objections to the conditions imposed. It took the government three years to issue the call for tenders, which the Director of Contracts described as “complicated”, yet, a number of potential bidders are complaining that some of the conditions included are illegal. In an ironic twist, one of the complaints was made to the Public Contracts Review Board by X-Clean Ltd, of Naxxar, which had been given the cleaning contract through repeated direct orders since April 2015. According to the complaint, filed on the company’s behalf by former police commissioner Peter Paul Zammit, a legal procurator, X-Clean is arguing that the requirement for bidders to have won cleaning services contracts amounting to a minimum value of €12 million should be removed as it is “limiting the tender market” and is against EU public procurement rules. X-Clean, owned by Denis Xuereb, wants the Contracts Department to revise this such condition, insisting it was “excessive”. Another potential bidder, Servizi Malta Ltd, also filed objections and is demanding a revision. Ganado Advocates, on behalf of the cleaning firm, accused the Department of Contracts of making an illegal intervention through a clarification it issued after the offer’s request had been published. While, originally, the call underlined the need that bidders must present certificates of proof that all company VAT, income tax and social security payments were up to date, the Contracts Department later issued a clarification stating these were not necessary upon the submission of offers but only in the case of being successful. Servizi Malta contested this and is asking that all contenders are required to submit such certificates of clearance at the submission stage. 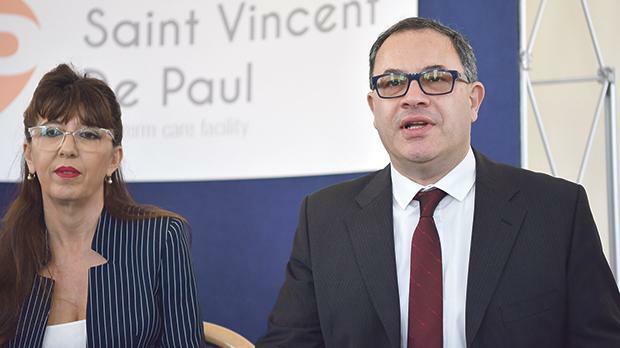 The St Vincent De Paul cleaning contract has been hitting the headlines for the past months. The Times of Malta has reported that, instead of issuing a new call for tenders when the previous one expired, the government had, since 2015, selected X-Clean giving it direct orders every six months. The company received about €9 million along the years. This newspaper had also reported that the bill for cleaning services at the government facility tripled over the past years with payments also made for unrelated services such as hairdressing, gardening, the provision of employees and technical jobs. Contracts director Anthony Cachia had insisted he had only given approval for the payment of cleaning services. Opposition leader Adrian Delia last week asked the National Audit Office to look into the manner in which the government handled this contract. Pending a decision on the legal challenges filed, the government is expected to keep renewing direct orders to X-Clean. This could take months.